I worked with WER before. I had a chance to work with WER again because I trust their quality and service. WER-ES1902 isn’t a home printer that also does photos. This is a new design machine. I had bought a blue color 1.6m printer in 2016. This new machine with red color looks more stability. Specifically to produce professional quality photo prints. I’ve used it several times, easy to set up, print fast with 2 heads, and am very happy with the quality of the unit and print quality. Paper/ink is more reasonably priced too. Maybe next year, I will buy a 3.2m printer. Thank WER, very happy cooperate with them. Highly recommend WER printer. 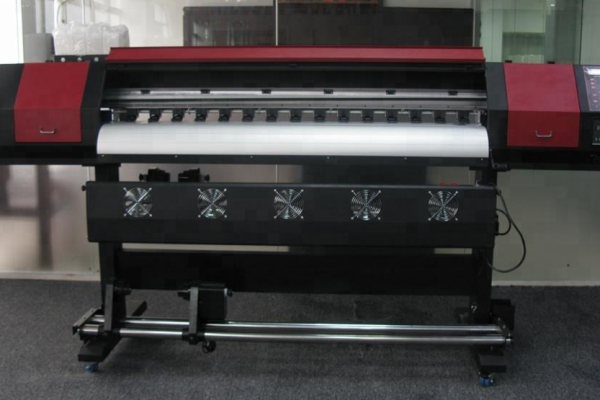 Fortunately, his company is equipped with a WER-ES1902 banner printer, a 75-inch digital printer. It was a huge opportunity by any measure. Rick submitted his bid, and won the job. The wall pictures, which feature animals from the zoo, were created by design company. When the final approvals for the work came through, His company moved into overdrive. “Our ES-1902 really came through. The color matching was perfect,” Rick noted. as indoor and outdoor signage, Flex Banner, mesh, PVC vinyl, photo paper, PP paper, backlit film, wall-paper,window film etc. resolution their printer can achieve. “Our print samples are some of the best salesmaterials,” said Rick. His clients come from small entrepreneurships to medium- and large-sized businesses. He operates with a lean staff of two full time employees.